COULD it be a case of out with the old and in with the new for One Nation leader Pauline Hanson? Her senator Rod Culleton is under scrutiny after he decided to send off a letter to courts in Cairns in what appeared to be an attempt to halt a police investigation. There are now questions over whether it amounted to perverting the course of justice. But while one of her victors from the 2016 Federal Election continues to drag her into the fray, there are suggestions that One Nation is building enough support in Queensland that LNP politicians are thinking about changing their spots. Senator Culleton wrote to the Cairns Office of the Commonwealth Director of Public Prosecutions to ask that proceedings against a man named David John Walter. He wrote that the case ought to be adjourned as the Senator was preparing to push for six High Court judges be removed for "proven misbehaviour". The Chief Magistrate in Cairns told the Queensland Attorney-General Yvette D'Ath that it could be viewed as a threat to a judicial officer and an attempt to pervert the course of justice. It has now been referred to Queensland Police and Ms Hanson summoned the Senator for a chat. But he didn't turn up. Now it's Wednesday, and Ms Hanson has demanded he appear to explain himself. But while that conversation may be a touch icy, she may begin warmer chats with aspiring LNP politicians who want to surf the One Nation wave into Parliament come the next Queensland election. It comes as senior Liberal and Federal Attorney-General George Brandis described the Queensland LNP leader Tim Nicholls as "very mediocre" and questioned whether the LNP should de-merge back into the Liberals and Nationals to better fight One Nation. The comments were captured by a microphone that Mr Brandis did not realise was on. The criticism was dismissed by LNP boss Gary Spence, who posted his own video in response. One Nation has finalised 25 pre-selected candidates for the state election already, the Courier-Mail reports. One candidate has a direct link to the LNP, but others may emerge from the major parties to stand for One Nation. 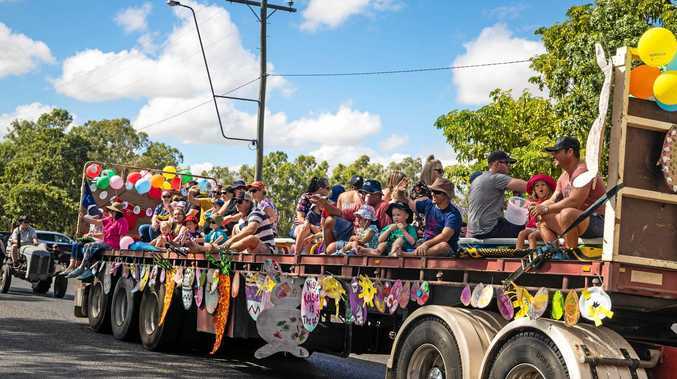 Already there are fears from both Labor and the LNP that a strong One Nation party may successfully target major party seats across regional and rural Queensland. Can Pauline Hanson do a Lazarus and win again?